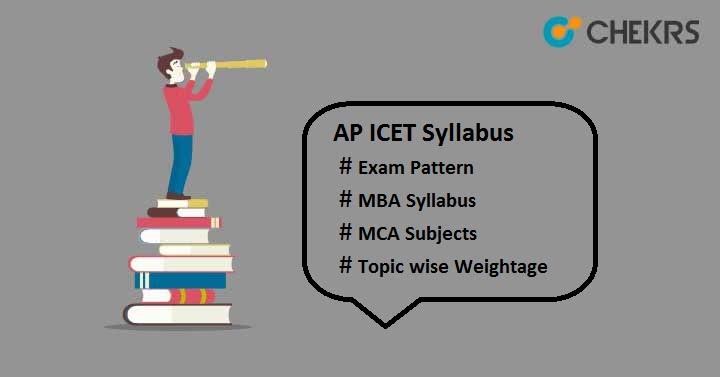 AP ICET Syllabus 2019: Are you interested in pursuing MBA or MCA courses from Venkateswara University & its affiliated institutions. If yes then must apply for AP ICET 2019. On the basis of student’s performance in exam, the university will provided admission for the academic session 2019-20. To qualify the exam with highest marks must check the Syllabus along with the AP ICET Exam Pattern. Sometimes we have all exam stuffs but we don’t know from where to start, how to start. So we recommend you to first check the officially prescribed syllabus, focus on basics concepts and make a proper study plan to complete the entire syllabus in 3 to 4 months. Here we have mentioned important topics on which candidates should pay more focus. Candidates who are looking for AP ICET 2019 Syllabus PDF Download link can click here. Candidates who want to get idea about the exam & question paper should examine the Andhra Pradesh ICET Exam Pattern. It will give you complete information about the exam such as mode of exam, marking scheme, no. of questions, subjects, total marks, etc. The examination controller will be responsible to set the exam pattern. You may prefer the Previous Year Paper to get exact idea of the original question paper. After completing the syllabus, candidates should regularly attempt online mock test to brush up the knowledge, to know the weaker & stronger parts. For any further query, you can ask in the below comment box. We will give the relevant answer to your queries. Good Luck!! !